Prime Day 2018 got off to a rocky start due to some serious problems Amazon was having with its website. Once the wrinkles were ironed out though, it was smooth sailing for the rest of the huge 36-hour sales event. Now that the dust has cleared we can safely say that it was the biggest and best Prime Day yet, with hundreds of thousands of deals that spanned every category you can imagine. As it turns out, however, the deals aren’t done just yet. 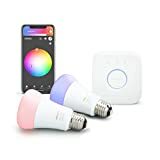 Philips Hue smart lighting is always a top seller during events like Prime Day and Black Friday, and you’ll be happy to know that if you missed out on the company’s Prime Day deals, several of the best ones are still available right now. 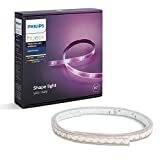 The star of the show is definitely the $90 Philips Hue White and Color Ambiance LightStrip Plus, which is still available right now at its Prime Day price of $64.99. 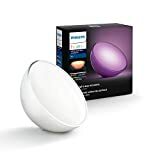 Also still on sale is the Philips Hue Go Portable Smart Lamp, the Philips Hue White and Color Ambiance A19 Smart Light Bulb Starter Kit, and the Philips Hue White A19 4-Pack. There’s no telling when these deals will be over for good, so grab them now while you still can.